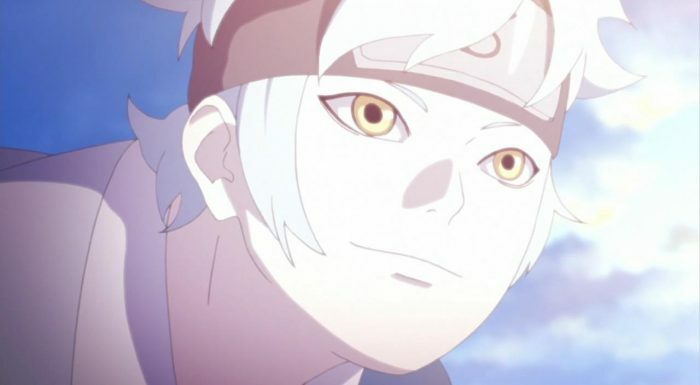 So how was the episode that gave us Mitsuki’s origin story? Well… It was… fine, I suppose. As has become a rather unfortunate pattern with the titular series continuing the Naruto franchise these days, there’s nothing entirely bad going on, but nothing to write home about either. That, by the way, is also one of the most challenging aspects of covering Boruto: Naruto Next Generations on an episode per episode basis. The show is consistently okay, not bad, and very rarely has it ever reached the heights of its preceding series and story. There was that one time the show covered Sarada’s origin, but that was and is a bit of an exception because it lifted stuff out of Kishimoto’s original Naruto manga, rather than being something that was either based off the currently ongoing Boruto manga, or an anime original story. I’m not entirely sure where this Mitsuki origin story comes from. Is it something the anime just kinda did on its own? Was the Boruto mangaka team involved? It certainty doesn’t seem so, because the story, while serviceable, is average at best. 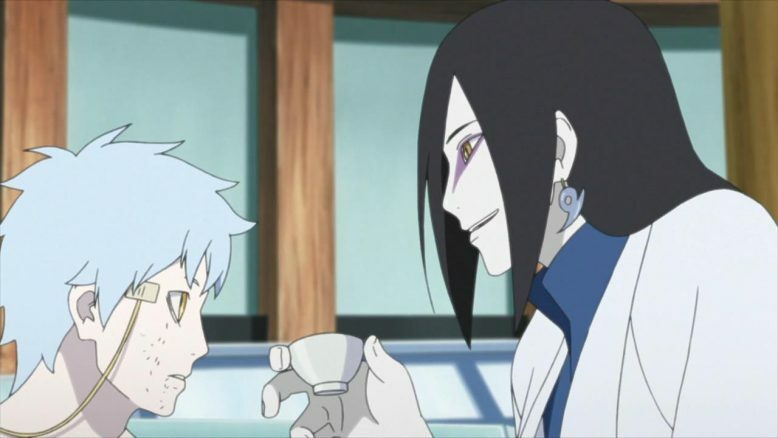 We learn this week that Mitsuki is an artificial life, created by none other than Orochimaru. The concept, on its own (again, as per usual) is fairly decent, but it becomes pretty apparent, very quickly, that there’s not much the show intends to capitalize on it all. Simply put, Mitsuki’s whole origin story, awakening and successive decision to chart his own path in life, are about as cookie cutter as it gets. He loses his memories, encounters an adult version of himself, and is pushed to the mental breaking point multiple times before he eventually decides to do his own thing. Yes, it works, and puts some context into Mitsuki’s actions and personality in the series thus far but… Damn is it a boring story. There’s nothing entirely unique or altogether interesting here. There’s no emotional heft to the story, there’s no mystery and everything just feels kind of bland. The show knows its audience is curious about Mitsuki’s origins, and it gives them a serviceable but ultimately uninteresting answer. There’s no complexity or depth to any of Mitsuki’s origin. His relationship with Orochimaru? Its this weird thing where Orochimaru actually does seem like a bit of a parent. 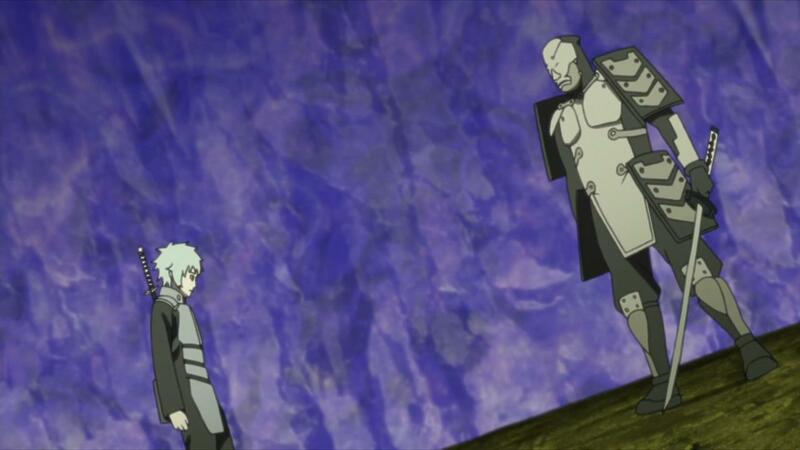 The show hints at the idea that Mitsuki’s creation is some sort of bold, new step for Orochimaru, a way for him to move past some of his past sins, in his own weird broken way but… Again, there’s no depth here. There’s no extra tidbit or spice to make this in any way interesting. Why does Orochimaru do this? Cause he wants to have kids! Sure, that’s an answer to a question, but it lacks any nuance, thought or anything new that changes up his character. 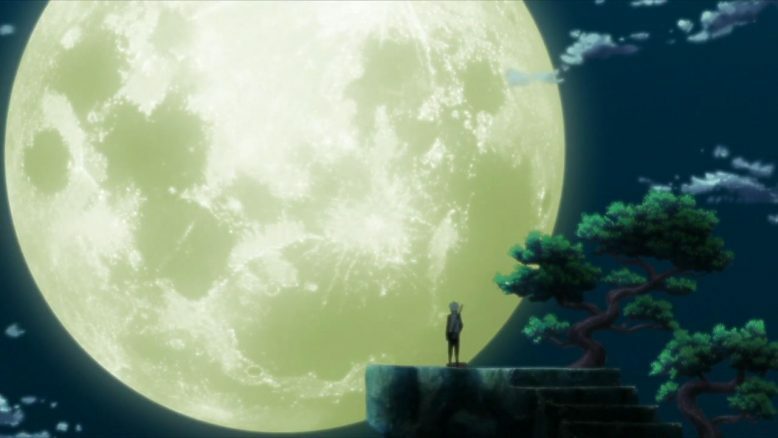 Mitsuki, for his part, doesn’t really grow or change after learning of his origins, nor does it actually tell us anything about why he is the way he is. His whole reason for his current personality? Utter disinterest in larger questions like his place in the world and his own existence. And yes, I’ll say it for the umpteenth time, if this were a Naruto story or episode, we would’ve gotten a story that would’ve driven us to tears, or made us feel something. I just need to point to characters like Gaara, Pain or even Orochimaru himself when he was originally introduced, to make my point. 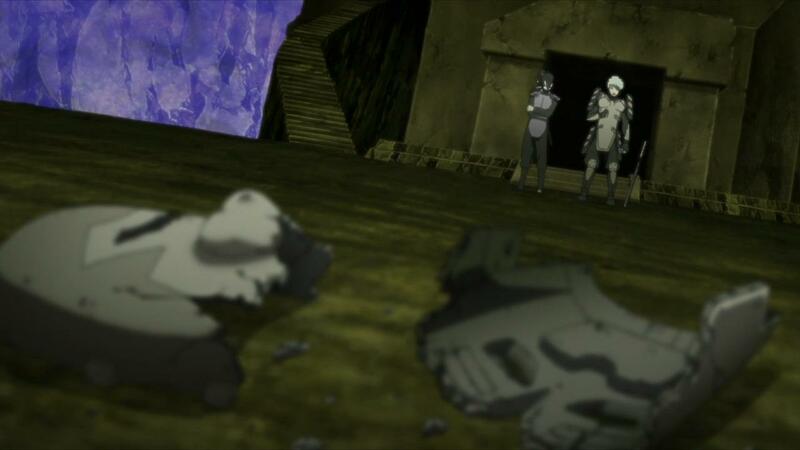 So yeah, this episode is fine, but its ultimately not all that interesting or impressive. Which, I think is the genuine tussle and conflict I have with Boruto Naruto Next Generations as a whole. There’s nothing here that begs to be discussed or talked about, and all I end up doing is devolve into trashing it every other week (sometimes more frequently). Some days, the show is better than others. The reason this week particularly stings is because the show took a plot point that could’ve been so darn amazing, and just wasted it. 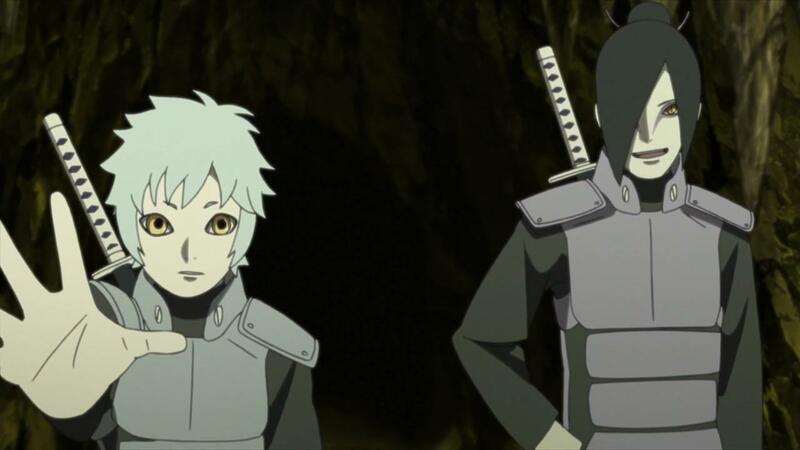 Not only is that unfortunate, but it really speaks to the fact that Boruto: NNG (the anime series) just needs a better, more talented writer at the helm.